February is here, and as stores stock their shelves with hearts full of chocolate, we’re celebrating hearts with a more health-related focus. In addition to Valentine’s Day, February marks American Heart Month, which gives Liberty Lutheran the perfect opportunity to raise awareness about our nation’s heart-health dilemma and to share what you can do to keep your heart healthy. Heart disease, which causes an average of 610,000 deaths on an annual basis, is the leading cause of mortality in the United States. While American Heart Month focuses on multiple aspects of heart health, including blood pressure, congenital heart defects and more, coronary heart disease (CHD) is what comes to mind for most individuals when they think of heart-related health issues. As with all aspects of our health, the lifestyle choices we make have a significant correlation with the chances for being diagnosed with CHD. Top risk factors for developing heart disease are high blood pressure, high cholesterol, and smoking. Fortunately, there are a variety of things we can do to control these frustrating risk factors and benefit our heart health. Manage stress: Stress, although a common occurrence for many of us, can be a large contributor to CHD risk factors. Finding healthy ways to cope with stress is crucial to your heart’s health. Healthy stress management can consist of practicing meditation, consulting a therapist, and regular exercise. Exercise: According to the National Heart, Lung, and Blood Institute, inactive people are nearly twice as likely to develop CHD as those who are active. The American Heart Association recommends at least 150 minutes of moderate to intense aerobic exercise each week for the average adult. Make sure to move as much as possible throughout your day. The more activity you do the more benefits your heart receives. 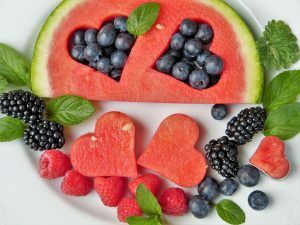 Eat heart healthy foods: To adopt a heart-healthy diet consume mainly vegetables, fruits, fat-free or low-fat dairy foods, and lean meats. Avoid foods high in sodium as well as saturated and trans fats as these are known to raise blood pressure. Maintain a healthy weight: Determine what weight is healthy for you based on your body mass index (BMI). Consult a doctor or healthcare professional for better understanding when adopting certain dietary changes. Quit smoking: According to the American Heart Association smoking is the largest preventable cause of death in the United States and causes one of every fourth deaths from cardiovascular disease. Quitting smoking can decrease your risk for heart disease significantly, as well as many other potentially fatal health complications. Located at Artman, the Becoming Center offers personalized, comprehensive, preventive, and restorative holistic wellness for active adults seeking to improve their fitness and overall well-being. Not just for senior residents of the Artman community, the Becoming Center is open to individuals from the surrounding area who want to achieve their health and wellness goals. With amenities like a fully equipped exercise room, a therapeutic heated pool, yoga room, as well as private treatment rooms for alternative therapies and massage, the Becoming Center certainly has the capacity to keep all heart’s healthy. Additionally, there’s on-site exercise physiologists, nutritionists and trainers for members interested in personalized programs. Liberty Lifestyles is a unique fitness program offered to all senior residents that provides customized plans to help them reach their ideal level of fitness. 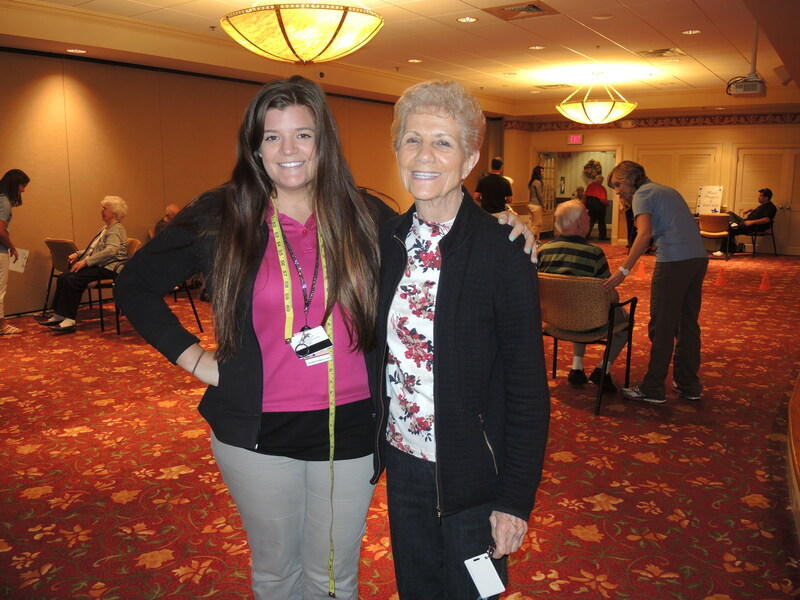 Valuing healthy hearts and lifestyles for residents at all of our senior communities, this program is designed by specially trained Liberty Lifestyles coordinators after thorough assessments of residents’ physical and cognitive abilities. Liberty Lifestyles breaks the mold in senior fitness and gives residents the confidence they need to know they’re living a healthy and active life. Our employee Wellness Works program not only gives staff the tools they need to live a healthy lifestyle, but additional incentives that motivate them to achieve it. With monetary bonuses and diverse opportunities like a 24/7 online health portal, monthly wellness challenges, healthy cooking demonstrations, stress reduction workshops, and on-site preventive health screenings, our program makes healthy living easy. Since its start in 2006, Wellness Works has lowered blood pressure, cholesterol, and tobacco use among staff considerably, so much so that it continues to stay below the national average. Our dedication to being a dependable health advocate for employees is just one of many reasons why Liberty Lutheran was named Top Workplace in 2017. Heart healthy habits are crucial to maintaining your health and overall well-being. Keep these tips in mind when considering how to make heart-healthy decisions, and learn more about how Liberty Lutheran can help you live healthfully and happily throughout your senior years by clicking here. February is officially designated as Heart Health Month. According to The Heart Foundation, heart disease is the leading cause of death for both men and women in the United States. The good news is that it is also one of the most preventable. Dr. Christopher Pitsch, Medical Director at Liberty Lutheran’s Paul’s Run community, offers five questions he wishes his patients would ask. Q: What is heart disease? A: Though “heart disease” may be used to describe a few different conditions, it is most commonly used in reference to coronary heart disease, also known as coronary artery disease (CAD). In CAD the coronary arteries become narrowed or clogged and cannot supply enough blood to the heart. Q: What causes heart disease? A: Heart disease starts with atherosclerosis. Atherosclerosis is a process in which fatty substances build up inside the walls of the arteries. Blood components can also begin sticking to the wall, causing a “plaque” buildup and narrowing/hardening of the vessels. Q: What does high blood pressure have to do with heart disease? A: Several years of high blood pressure can damage artery walls, causing them to become stiff and narrow. Though controlling our blood pressure is always important, there is more flexibility as we get older. Too aggressively lowering our blood pressure can cause problems as well. Q: Is it OK to exercise? A: Yes, regular exercise improves blood flow to the heart and makes the other muscles in the body more efficient, increasing their functional capacity as well as any medicine. As little as 10 minutes of an exercise you enjoy can go a long way. Q: How can I lower my cholesterol? A: Though sometimes medicine is required, healthy lifestyle changes can also make a big impact. Eating more fruits, lean meat, vegetables, and fish can go a long way, while eating less organ meats, egg yolks and fats. Dr. Pitsch recommends that everyone should have an open and honest conversation with their doctor about heart disease and the prevention of heart disease. For more information about heart disease, and how to reduce your risk, visit TheHeartFoundation.org. Holiday weight gain may seem inevitable, however there are ways you can win the battle of the bulge this season. There’s no need to pack on extra pound says Jamie Hernandez, M.A, M.A, certified health coach & hypnotherapist at The Becoming Center. Here are Jamie’s Five Tips for Eating Healthy During the Holidays. 1 – Hydrate – Drink lots of water. Drinking water before meals can fill the stomach so you don’t eat as much. Staying hydrated also helps you to feel healthy and energetic! 2 – Move – Plan time for exercise. Stick to your current exercise routine, or if you don’t have one, now is the time to start. Even if it means taking a walk with family after a meal, or going to the gym with your spouse. Get moving! 3 – Slow Down – Eat slowly, chew thoroughly. Chewing your food not only helps to slow down your eating, but it also releases digestive enzymes that allow you to digest your food better and absorb more of the nutrition. By eating slower, you can pay attention to how you are feeling and will be able to stop when you are actually full. A good rule of thumb is to put down you fork for 30-60 seconds in between each bite. This also allows you to engage in conversation with your loved ones. 4 – Portions – Use a smaller plate, and fill it up with salad and vegetables first. If cakes, pies and cookies are your downfall, offer to share a slice with someone when deserts are served. 5 – Sleep – Get appropriate sleep. The holidays can be a busy time and you may get less sleep or less productive sleep if you are feeling stressed. When you are tired, you tend to go for fatty, calorie-laden comfort foods. Sticking to a good sleep schedule, and doing something to calm your mind before you go to sleep, like meditation, will help you to make healthier food choices the next day. Learn more about what Liberty’s The Becoming Center can do for you. Visit BecomingCenter.org for general information or click here for information on nutrition counseling and classes. Angela Danno has been an active resident at Paul’s Run since she moved in to Liberty’s Northeast Philadelphia retirement community 21 months ago. She exercises daily and knows first-hand the importance of physical fitness when it comes to aging. “I have little aches and pains…some pinched nerves,” she explained. That’s why she participated in Senior Fitness Day at Paul’s Run for the second year in a row. Where did the last 20 years go? That’s the biggest question Fran Conley pondered when we asked her to talk about being one of the first members of The Becoming Center in 1994. “I was here when the doors opened,” she recalls. Two decades ago, Fran’s very–health conscious daughter was driving by Artman, Liberty’s senior community in Ambler, she saw the signs for the newly created Becoming Center and urged her mother to join. Fran lived only two blocks away and still does. Amazing Race ends in Philly with the Phanatic! Picture this: more than 200 senior citizens WALKING from Honolulu to Philadelphia! Okay… maybe that’s not humanly possible, but that was idea behind the Amazing Race at three of Liberty Lutheran’s senior communities. Residents at Paul’s Run, Artman and the Village at Penn State kicked off the Amazing Race walking challenge in August, featuring four weeks of activities to inspire residents to get moving. Each week featured a different virtual destination. Residents “walked” from Honolulu to Dallas, then to New Orleans, and back to Philadelphia.